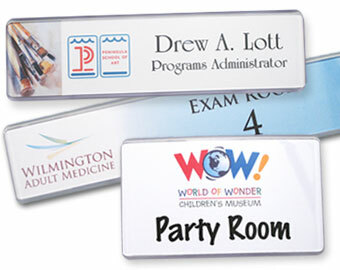 Name Tag, Inc. | Name Tags, Name Badges, Name Plates and more. Improving your first impression, one name tag at a time! Affordable and professional personal identification products that are easy to order and use in your workplace. Whether you need reusable name badges for high-turnover positions or a permanent name tag for the CEO of your company, you are sure to find just what you need. 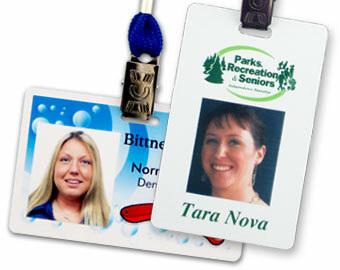 Personal identification products, such as name tags, have a significant benefit on your company. Everyone in your workplace can communicate more efficiently when they know each other's names. Guests and visitors are more at ease when they know with whom they are dealing. Name tags also help to promote your brand where ever they are worn. Wear them in at the office, to conferences and conventions, and even to luncheons. Add a logo, names and titles to any of our available products. We strive to serve our customers by providing the highest quality products at great prices. And they are guaranteed defect free for one year. We realize that you have many options for your identification needs. And we recognize that when you order through us, you are placing your trust in our work. We honor this trust by dedicating ourselves to providing friendly and helpful customer service, creative designs and high-quality products. Add names and titles to these no logo tags using a stock or a custom design. 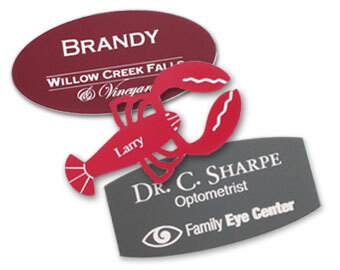 Add a company logo to metal and plastic name tags to make your branding perfect. 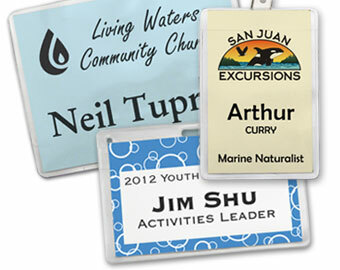 Save time and money by making your own name badges; with or without a logo. Choose from our fun and unique shapes for your business name tags. Perfect for conferences and multiple day events; several sizes available. Add pictures with names and titles for extra security in your workplace. An event staple, these badge holders and neck wallets are perfect for conferences. 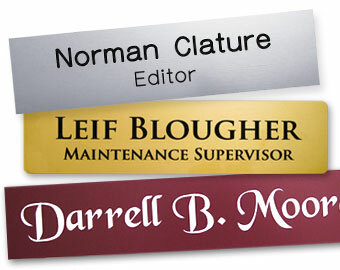 Stock and custom titles with your choice of ribbon color; vertical and horizontal. 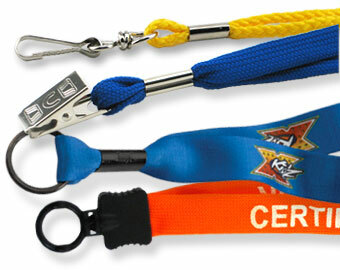 Custom and stock badge lanyards, with some styles shipping within 24 hours. 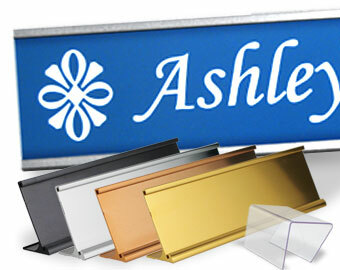 Personalized plastic and metal name plates for your desk, wall and office door. 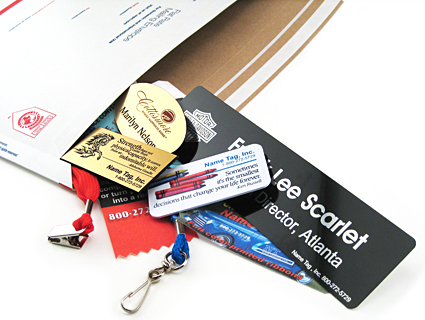 Engraved, UV color or hot-stamped logos on name plates are perfect branding tools. 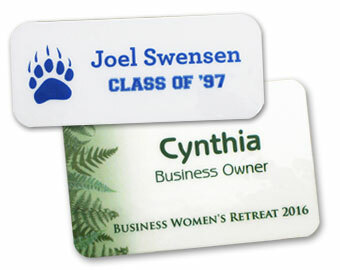 Contemporary and reusable name plates are professional while being low-cost. 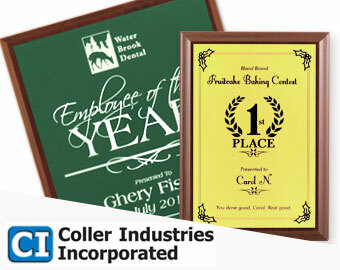 Stylish holders are great to display your name plate on your desk, wall or cubicle. 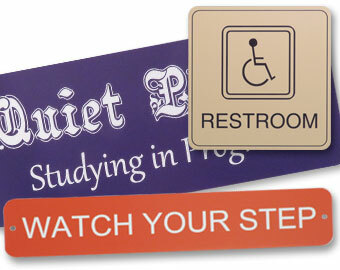 Stock and custom signs in a variety of sizes for all of your office needs. 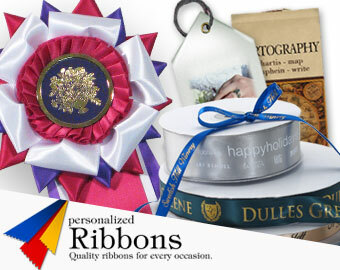 Ribbons for awards, holidays and more! Customize your product by choosing material, color, font and more. You will receive a digital proof showing the product in detail. You may request changes to the proof before you approve it. We produce and ship your order as soon as an approved proof and any list of names and titles needed for your product have been received. Reordering a custom product is always easy, and there is no minimum quantity required. We maintain design and layout information to ensure that you receive the same product as previous orders. Reordering allows for faster processing, consistency between orders, and a reduction or elimination of set-up fees. The more you order, the more you save with our generous discount pricing. We also maintain the layout and product specifications, which makes ordering additional name tags and name plates for new employees accurate and fast. Our products are backed by our quality guarantee, which we thoroughly stand behind. 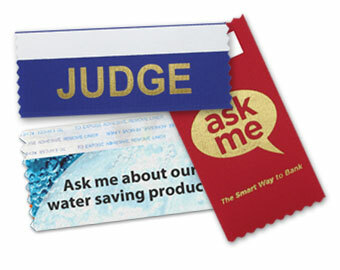 All of our products; name tags, name plates and ribbons; are made to your specifications. We check everything twice before shipping your package. Name Tag, Inc. has had less than a 1% error rate for the past five years. We always stand behind our high quality and fast turn-around times. Ordering online is easy and customer service is always available to help guide you. We will do what it takes to earn your trust and keep your business. Request product examples to feel and see our production quality. This service is complimentary for current and prospective customers only.